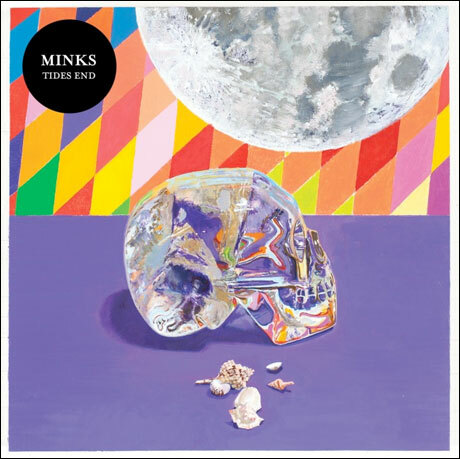 Over two years after delivering their debut disc By the Hedges, New York indie-pop unit Minks have announced they'll deliver the follow-up, Tides End, August 6 through Captured Tracks. A press release notes that a case of writer's block had frontman Sonny Kilfoyle uprooting himself from the band's Brooklyn base to the East End of Long Island. While there, he observed the wealthy neighbourhoods that surrounded him and channelled the experience into a song cycle touching on themes of "affluence, decadence and eventual decay." When Kilfoyle came back to the city, he teamed up with recent Berlin transplant Mark Verbos at the producer/engineer's New York studio by the Brooklyn side of the Williamsburg Bridge. "It was actually a very uninspiring and uncreative but it forced us to use our imagination and find new ways to work together," Kilfoyle said of the setting. Outside of the sessions, Kilfoyle began listening to Seal, Simply Red, Enigma and Chicago house music, which apparently affected the outcome of Tides End. You can sample the album's "Everything's Fine" and "Painted Indian" down below and see if those parallels add up.